Madison-area singer-songwriter Kelly Jackson is seated on a comfortable couch, in the middle of female friends and family. In this opening scene from Jackson’s first music video for her 2012 debut album, “Spirit of a Woman,” it’s easy to see where Jackson gets a lot of her artistic inspiration. “My creative process is always rooted in who I am as an indigenous woman and how I can create a message others can feel and relate to,” she said. As a member of the Lac du Flambeau Band of Lake Superior Chippewa Indians, she grew up listening to Pow Wow drums and classic country music artists like Johnny Cash and Hank Williams. 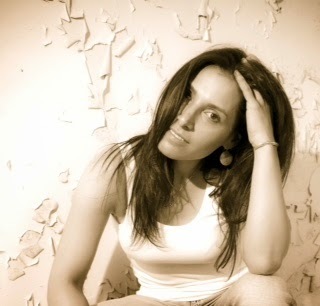 Jackson describes her music as “Native Americana” - an infusion of rock, country blues, jazz and folk and Native American musical influences. “Spirit of a Woman” was received so well that Jackson was nominated for several categories at the 2013 Native American Music Awards (NAMA), including Best Female Vocalist of the Year, Album of the Year and Best Historical/Linguistic Recording of the Year. Jackson won the NAMA award for Best Folk/Americana Recording for her album. Music is not the only area that impassions Jackson. She runs ‘Indigenous Networks,’ a consulting firm specializing in many aspects of tribal preservation. She was the coordinator for the nationally-recognized “Legacy of Survival: Boys Dormitory Interpretive Initiative,” an intertribal project to restore the Lac du Flambeau Boarding School Dormitory building and create exhibits, archives, an Ojibwe language program and other educational activities that center around the preservation of tribal culture. “This is a personal and professional development organization which focuses on revolutionizing the image of women in media and music through training and workshops,” she said. Jackson’s 16-year-old daughter, Demisha, is also involved in the retreats. Spirit of an Ikwe recently launched woman-friendly products, including a specially-designed t-shirt and jewelry made from recycled guitar strings, crafted by Madison musician Beth Kille. To help fund workshops for disadvantaged women, Jackson’s website also sells a gift package that includes the shirt, a piece of Kille’s jewelry, a CD and a special handwritten note from Jackson. For Jackson, the future holds many more creative projects, including “Renditions of the Soul,” an album that Jackson is still working on. “’Renditions of the Soul’ is slightly edgier, and a bit more rock-folk infused with some blues influences, and the content of the songs are not necessarily focused on the uplifting pieces, but radiate messages about being impacted by alcoholism in our community. There’s a song called ‘Walking with a Ghost.’ All of my music in the next chapter will be rooted in my native culture, so I intend to infuse the same sorts of influences like hand drums,” she said. Thomas H. Johnson and Helen S. Johnson. Simple theme. Theme images by gaffera. Powered by Blogger.